Gorgeous Cebu women are excited to meet foreign men in our social tours. While it is true that Cebu is the home for beautiful ladies, these lovely Cebu women often encounter countless misconceptions especially when they end up dating or getting married to older foreign men. It is unfortunate that these women have to face bitter and negative stereotypes just because of the type of love and relationship they chose. People often think that these women are in it for convenience and not because of genuine love. Hence, it is important to shed light as to these misconceptions in order to correct these erroneous views regarding single Cebu women seeking foreign men as well as Cebu women married to foreign men. There are several misconceptions affecting different aspects. These misconceptions refer to those ideas which people often think and believe are true when in fact they are not. Women of Cebu who date foreign men, especially those who are much older than them, are often regarded as gold diggers. The stereotype is that these women only marry for money and not for love. Some people look at these women as wives or partners who shop and shop until they drop. Fortunately, this view is far from the truth. Not all Cebuanas who marry older foreign men are gold diggers. Not even majority of them are gold diggers. Cebuanas are looking for relationships that are much more stable and they are not afraid to date foreigners. Cebuanos are not homoracial which makes it completely usual for them to date foreign men or women. Most Cebu women who are in a relationship with foreigners are thought to belong in the lower class of the society. Oftentimes, people automatically think they occupy the lowest socio- economic status or class but that is not always the case. In fact, many Cebuanas who come from prominent families end up dating and marrying older foreign men. 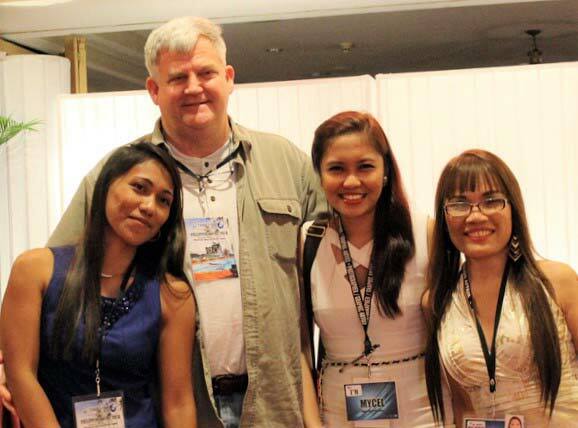 Moreover, middle class Cebu ladies are also into dating older foreign men. That said, choosing an older foreign man does not depend on your family’s income or the socio- economic class where you belong. Single Cebu women are drawn towards foreign men like you. Another misconception about these women is that they did not have high educational attainment, which means that they only finished elementary or high school, or that they were never educated at all. This is deliberately not true considering the fact that many Cebu women who graduated in reputable schools with honors are also geared toward marrying older foreign men. There are even a lot of Cebuanas pursuing higher education and are married to more mature foreign men. The truth is, these educated Cebu women tend to be more careful in choosing their partners for life. Thus, they end up with men older than them because assurance and security are easier to have with these men. There is also another misconception about Cebu women and it concerns about their upbringing. Women of Cebu city are thought to be liberated and not conservative since they are from the city whereas women from the provinces of Cebu are regarded as very traditional and conservative. Although these may be partially true, it is not true for the most part. As a matter of fact, there are many single Cebu women who are very modest and conservative even though they grew up in the city. As for those who come from the rural areas, it is only natural for them to be traditional since their families are less exposed to urban influence. The truth is that Cebu women who date older foreign men are not just some uneducated gold diggers who come from the lower class. Even if these women are in a marriage agency, many of these women are highly-educated and are financially stable by themselves. They do not turn to mature foreign men in order to make life “easier” as opposed to that common misconception. There are plenty of other reasons that affect Cebu women’s choice of relationship. It is largely because of their own personal preference. There are Cebu women who prefer to date men from other cultures. They may also prefer to date mature and older men because of their stability in life and love. In the end, it is important to note that these misconceptions must be corrected. It is important to acknowledge that Cebu women who spend their lives with older foreign men may be in that relationship not because they just want money or an easier life, but because they genuinely fell in love.